artin Place in Sydney, signing several deals for almost 25,000 square metres, equivalent to 60 per cent of the leasable space. Following the recent arrival of prominent global law firm DLA Piper and Charter Hall’s own head office, new leases have recently been agreed with Macquarie, LinkedIn and the Australian Prudential Regulation Authority (APRA) to collectively lease levels 1 to 14 in the 24 level tower. The new leasing deals follow recent building industry for DLA Piper’s office space, plus a string of other tenants secured for the building. This brings committed occupancy to 82 per cent, with only 6,500 square metres of office space remaining. Craig Newman, Charter Hall Office Trust (CHOT) Fund Manager said, “we think this is a fantastic result. 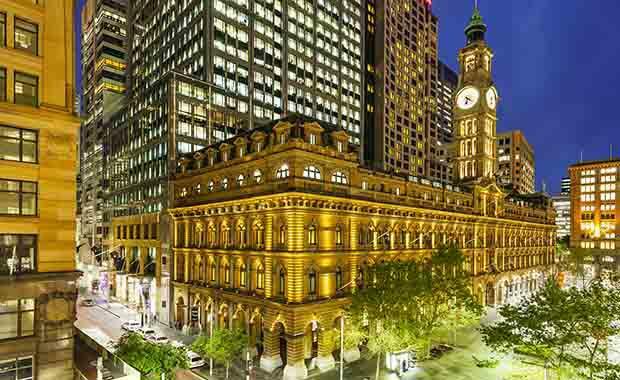 To have over 80 per cent of the office space committed is a testament to the draw of this iconic building and arguably the most recognised business address in Australia. “The high level of activity currently underway within the Martin Place precinct is generating interest from tenants seeking to move into the area as it is being transformed," he said. Levels 1 to 7 have been leased to Macquarie Group commencing January 2015, representing 13,034 square metres of space, while APRA is taking levels 10 to 14, representing 8,134 square metres. Charter Hall’s senior asset manager Robert Bryce said the deal struck with LinkedIn to lease 3,746 square metres on levels 8 and 9 commencing July 2015 reflected a wider market trend that was driving leasing deals across the CBD. “There is a lot of activity among the technology industry, with firms moving from the inner city and suburbs to prime CBD locations to increase their visibility, whilst being surrounded by high quality staff amenities,” he said. “They are attracted to the credibility and reputation of a central CBD address such as No.1 Martin Place, which is fast becoming a home for some of Australia’s best known businesses,” Mr Bryce added. Inspired by the building’s iconic location, tenants are creating landmark interior spaces at No.1 Martin Place, with Charter Hall leading the charge by unveiling its innovative new office earlier this year. Designed by BVN Donovan Hill Architecture, it brings the business’ new way of working to life through a fluid and transparent layout across two levels. Meanwhile, tenant DLA Piper’s four level fitout, covering more than 5,000 square metres, was recently recognised with builder FDC achieving a Merit Award for Best Interior Fitout ($10-20 million) at the Master Builders Association NSW Awards.